The University of Saskatchewan's American Association of Pharmaceutical Scientists Student Chapter has been featured in the June 2017 edition of the AAPS Newsmagazine. 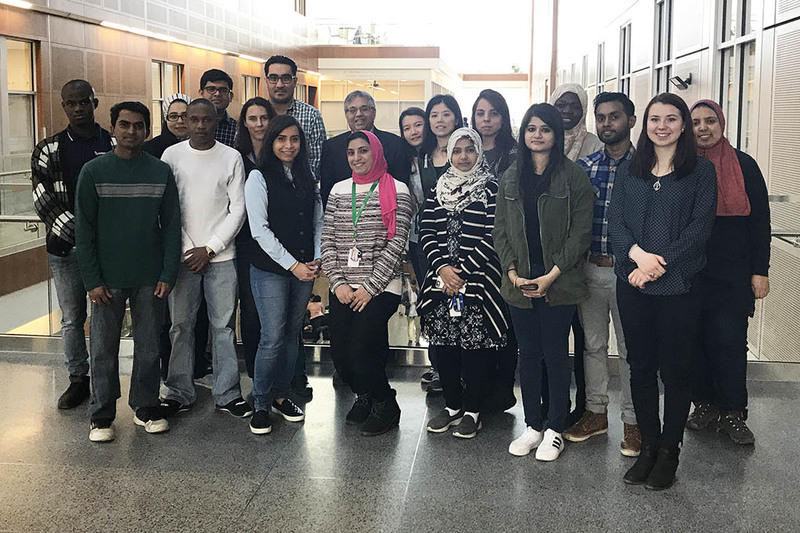 "The University of Saskatchewan (U of S) AAPS Student Chapter was founded in January 2015 at the College of Pharmacy and Nutrition, Saskatoon, Saskatchewan, to be the second of its kind in central Canada. Starting with only 10 members, the chapter currently embraces more than 50 undergraduate and graduate students from various disciplines such as drug delivery and development, medicinal and analytical chemistry, pharmacokinetics, and synchrotron sciences; reflecting the rich diversity of the U of S campus. Since the inception of the student chapter, we aimed to create a platform where our multidisciplinary expertise can meet, nourish, and grow. Our ultimate goal is to build a coherent social and scientific community that serves the needs and interests of the U of S students." Read more about the chapter in the AAPS Newsmagazine.